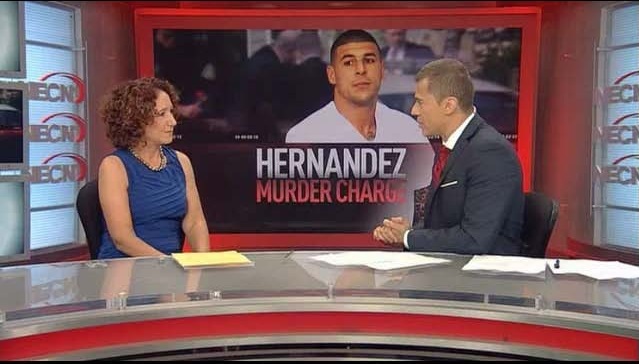 CAN AARON HERNANDEZ GET MARRIED IN JAIL? – Grossman & Associates, Ltd. The new buzz in the Aaron Hernandez case is whether he will be allowed to marry his fiancé Shayanna Jenkins in prison. The marriage is an attempt to preclude Jenkins from testifying against Hernandez in his upcoming trial. I was invited to speak with Erick Weber on NECN to discuss the legality of marrying in jail and the concept of spousal privilege which gives a spouse the right to decide whether or not to testify when their spouse is on trial. CAN THE COURT ORDER MY SPOUSE TO SUPPORT ME AND MY CHILDREN?